I’ve been writing since before it was cool. I discovered my passion at the ripe age of 20. It started in 2010, when I admitted I hated my college major. I applied for a spot in University of Central Florida’s (UCF) journalism program. Shortly after, I was accepted. And shortly after that, I failed my first class – Introduction to Journalism with Prof. Speere. When I tried to talk my way out of retaking the course, Speere wouldn’t budge, and I retook the class the next semester. I couldn’t get published to save my life. My writing sucked, and it was devastating. For a few months, I really felt stupid. I felt like I had faked my way into this exclusive program – that I wasn’t possibly good enough to belong here. I debated running away from writing, but then I realized something – I really, really enjoyed it. Looking back, failing Speere’s class was the best thing that could have ever happened to me. Up until then, I coasted through life. 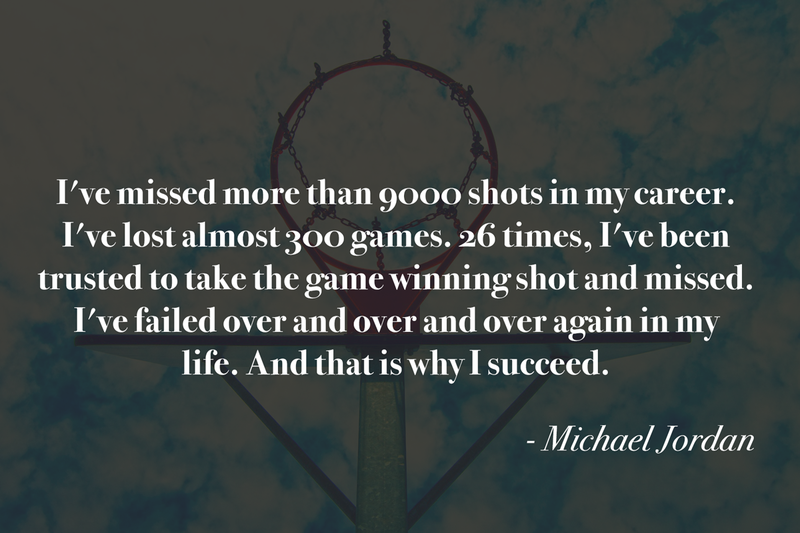 Failing motivated me to be better. During the next two years, I wrote two cover stories for a prominent local newspaper, became the relationship columnist for the school newspaper and scored a quote from UCF’s President Hitt, who hadn’t spoken to a student journalist in a decade. The first cover story my classmates laughed at me for pitching. As did the first publication I pitched the idea to (Chicago Tribune’s Orlando Sentinel). Sugar-coated turned out to be a hit though, and literally hours after it was published, a nationwide radio show asked for an interview with me. You wrote that story?! I loved that story. You’re that girl, who wrote (insert title)?! Since then, nearly five years later, not only have I been published a decent amount of times in places you’ve likely heard of, but I’ve also become a pretty good (i.e. tough) editor – one I think Speere would proud of today. With that being said, it definitely doesn’t mean I don’t get rejected anymore. In the past three months, it’s been a “close but no cigar” to getting published in TechCrunch – not once, but twice. And I’m still a ways off from getting published in NY Times’ Modern Love column (a huge dream of mine). Here’s my point: Getting published is a privilege. Whether you’re a writer at heart or an entrepreneur, who wants to guest blog to assert herself as a thought leader, I wrote this for you. This post will teach you how to earn the privilege of getting published. I’ve divided this into two sections. The first details the five traits of the most publishable writers, preceded by how to write a pitch email that will get you a foot in the door at any publication. While there is no mathematical formula for becoming an editor’s pet, there are a few trending characteristics of winning writers, i.e. ones who get published on the reg. In short, they make editors’ lives easier. Here’s why. Reliability is no. 1 on my list because unreliability is the no. 1 career blocking habit. Nothing will determine your success more than your reputation for being reliable or not. As an editor, I have a certain amount of posts I need to publish each week, so when you bail on the post you nagged me to approve, I have to scramble to find another piece of content to fill its space. The best writers are obsessive compulsive. They know my name isn’t Laura. It’s Lauren. They’re not lazy – if there’s a red squiggly line under the word, then they highlight, right-click and make sure it’s spelled correctly. The best contributors are ones who are flexible. They generate ideas when they must, and they accept pitches from me also. The best writers are really good researchers and learners, giving them the ability to write about a multitude of topics they know little to nothing about. I cannot stress this one enough. Maybe I should’ve made it no. 1 because it’s that important. According to WSJ, likable people are more apt to be hired, get help at work, get useful information from others and have mistakes forgiven. A study of 133 managers last year by researchers at the University of Massachusetts found that if an auditor is likable and gives a well-organized argument, managers tend to comply with his suggestions, even if they disagree and the auditor lacks supporting evidence. It’s really not that hard to be pleasant. Basically, don’t be demanding; have a personality; and please, don’t tell me how to run my publication. Point blank: If you don’t like my style guidelines then don’t pitch me a story. There is nothing better than a piece of content that just flows. It’s much easier to edit for grammatical and spelling errors than it is to edit a blog post that is incohesive so please take time to organize your post before you begin writing it. It takes me less than five seconds to decide if I like your pitch so captivate me straight from the subject line. 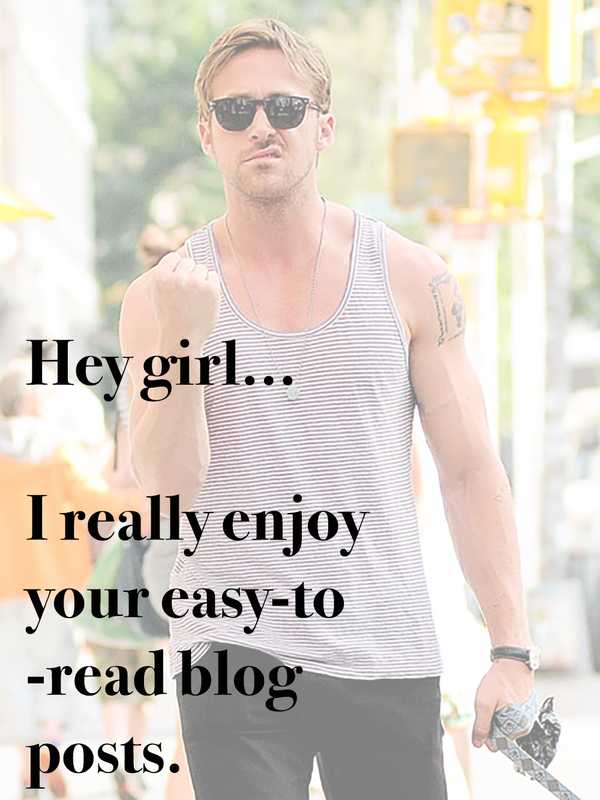 Then make your lede so good that even Ryan Gosling couldn’t pull me away from your email. Yes, seriously be that captivating. It’s possible. 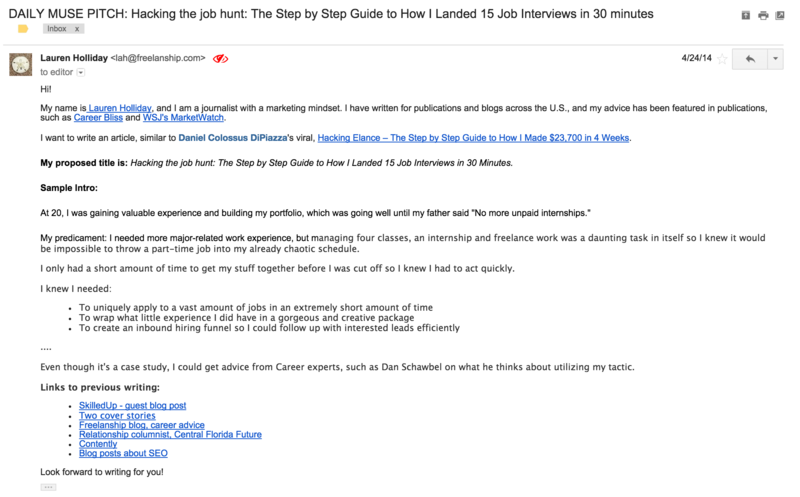 A good pitch requires a person to be good at writing damn good emails. Below is a screenshot of a damn good email pitch that turned into a damn good blog post on SitePoint recently. Below is another example of a pitch that I wrote a year ago to the editor of The Daily Muse. This also turned into a great blog post. Name drop. Have you been published or featured somewhere really, really awesome? Then tell me – better yet hyperlink to it so it stands out and allows me to quickly learn more. Tease me. Whether you write a sample introduction like I did or a pithy but meaty two to three sentence overview like Ryan did, make sure to give editors a small taste of divine content that makes them want to read more. This is how you get published, certainly by me at least. And I will add that published writers have one more innate quality that I forgot to mention — they have extreme perseverance. And as a special treat, I included a goodie bag of resources that will help you reach your goals of getting published. What Does All Great Content Have in Common? What Do the Best Writers Do That Other Writers Don’t? Lauren Holliday is a full-stack marketer, SitePoint's business and marketing editor and the founder of Freelanship, which connects students with project-based internships. Learn more about Lauren on her website.